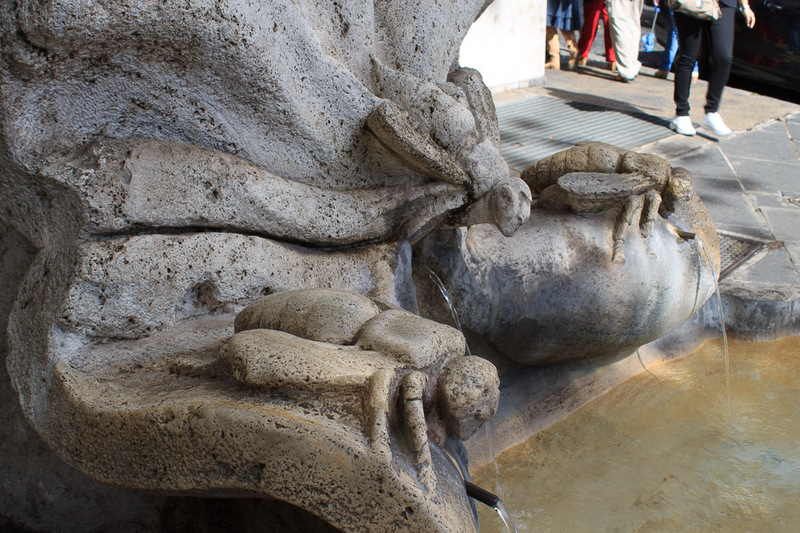 Bernini built the Fountain of the Bees in 1644 so there would be a fountain in Piazza Barberini small enough for people and animals to drink out of, since the Triton Fountain was too large for this. 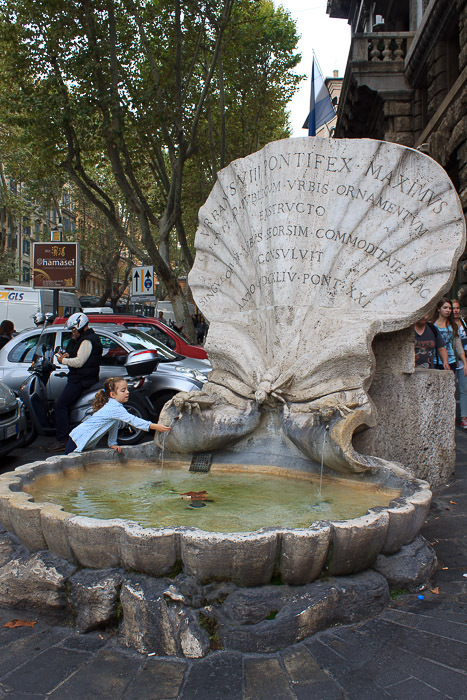 It is located just steps from the Barberini metro stop. 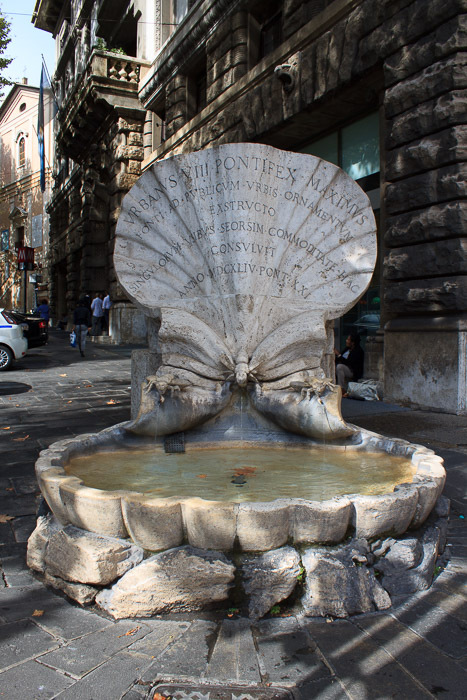 The fountain uses shells for its inscription plaque and basin, like the Triton Fountain, and contains three Barberini Bees. The bees become spouts for people to drink from, and the shell becomes a trough for animals. See all Fountain of the Bees photos.